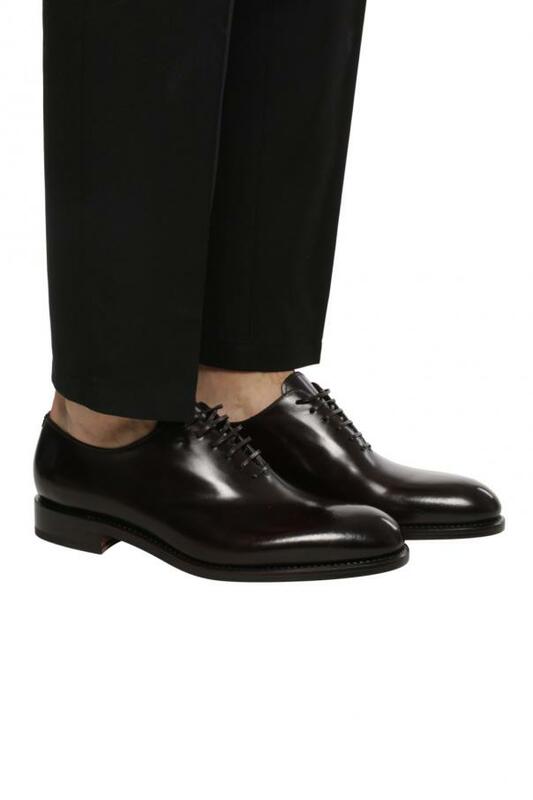 Black ‘Angiolo’ lace-up Oxford shoes from Salvatore Ferragamo. Made of calf leather. They feature brown sole in leather.